New for the 2018 Season, the Old Town Farmers Market will be holding a Summer Midday Market on Thursdays from 11 a.m. – 2 p.m. in front of the Old Courthouse at 20 North Loudoun Street. We are seeking vendors to bring locally grown and locally made items for this weekday market. 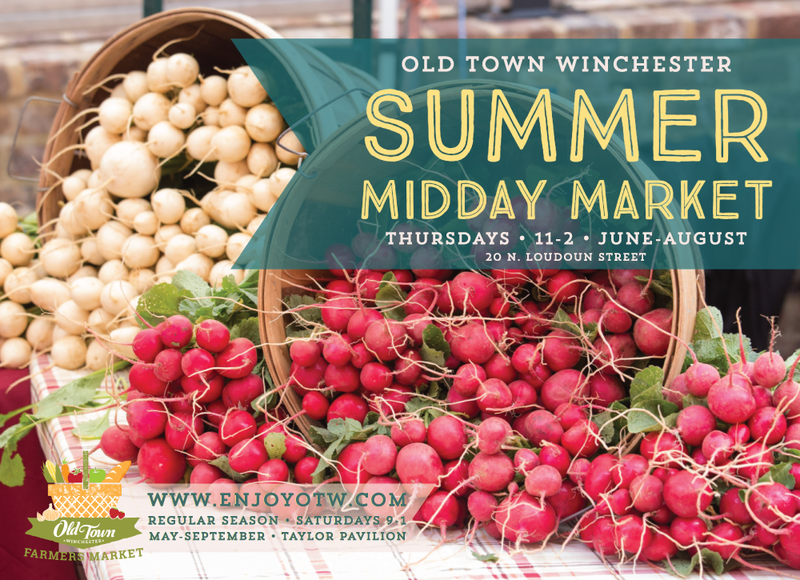 For more information contact Jennifer Bell, Downtown Manager, at the Old Town Welcome Center, 33 East Boscawen Street, Winchester, VA 22601, otw@winchesterva.gov. The deadline to apply is April 20, 2018.